PICKAWAY – GodsAbled group of Crossroads church will be hosting their annual Egg Hunt on April 20 at 1:45pm. 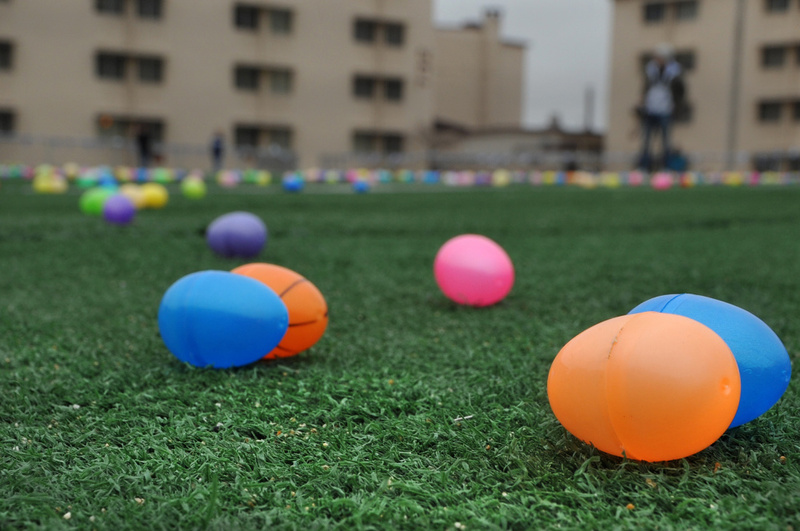 This is not your typical egg hunt. Yes, the church will have designated areas for ages birth to twelve years old for conventional egg hunt, BUT will also have a designated area for children in wheelchairs and a designated area for visually impaired children and all children with disabilities are welcome. 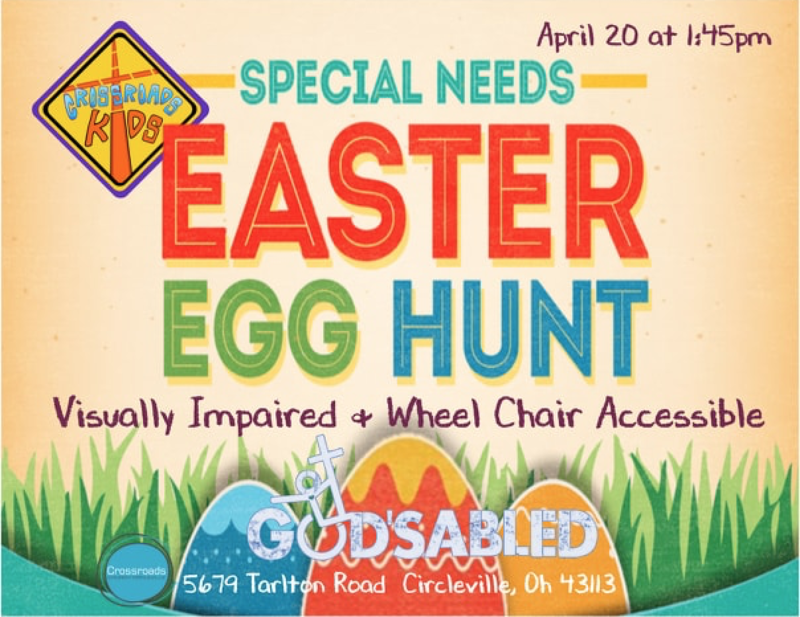 “I have had several people tell me they have never heard of anyone in Pickaway county hosting a special needs egg hunt, and we are happy to host this and serve this great community,” said Angela Copeland Children’s pastor at Crossroads Church in Circleville. According to the children pastor that adults with Developmental Disabilities that would like this kind of event would also be welcomed. Circleville, Ohio 43113. A link to the event you can find here.